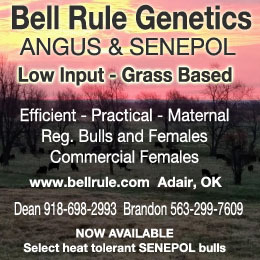 So you got that soils report and you’re trying to figure out what you need to do to make your soils work better for your forages. 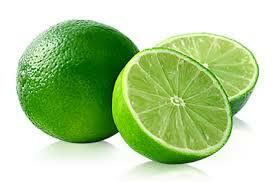 Lime helps release calcium for use by plants, but there are times when you shouldn’t use it. This is NOT the kind of lime we’re talking about. But you could add this kind of lime to a drink as you consider how much lime, gypsum and elemental sulfur you’ll need for your pastures. 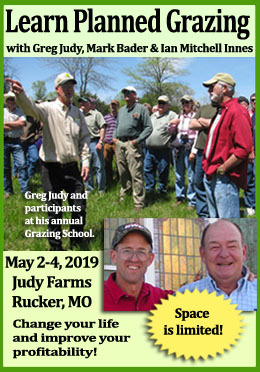 If you’re an organic farmer, or you’re working on reducing your reliance on manufactured fertilizers, you’re aware of how important it is to have the nutrients in our soil that crops need for good yields and quality. We all focus a lot on calcium, not only because of how important it is to plant growth, but also because it affects the quality of the soil, and ultimately how good the feed we grow will be. We also know that the pH of the soil (a measure of how acidic or alkaline it is) affects crop growth. Sometimes the relationship between calcium and pH is confusing, and farmers occasionally get conflicting advice about how to handle calcium in their soils. When you get your soil test report, start by taking a look at the pH. The pH scale is set up on a 14-point scale where 7.0 is neutral (acidity and alkalinity are perfectly balanced). (Here’s a great article from On Pasture about soil pH and why you should care.) The further the number drops below 7, the more acidic the soil is, and the higher it goes above 7, the more alkaline the soil is. We find that most crops grow very well in a soil that’s slightly acidic to neutral. The target range for pH on soils where you plan on growing alfalfa or barley is 6.8 to 7.0, and the target range for soils that don’t include these crops is generally 6.5 to 7.0. If you have a soil that’s either too acidic or too alkaline, nutrients will be less available and crops may suffer. The next thing you should look at is the percent base saturation (%BS) of calcium and magnesium. This refers to the proportion of the soil’s cation exchange capacity (CEC) that is occupied by these nutrients. (OK – CEC can be confusing too, so Rachel wrote 500 words that make it easy to understand.) Cation exchange capacity is a measure of the amount of electrical charge a soil has that allows it to hold onto nutrients like calcium, magnesium, and potassium (along with sodium and hydrogen) and to provide these to plants. We’d normally like to see about 70 to 80% of the soil’s CEC represented by calcium (Ca) and 10 to 20% occupied by magnesium (Mg). In these ranges, we usually have a good balance of these nutrients to not only provide for good plant growth, but also to maintain good soil structure (aggregation). If calcium levels are too low, we can often improve the physical structure of the soil by adding it. If calcium levels are too high, it means that there may not be enough room left on the CEC to provide the magnesium and potassium we need for plants to grow well. I often get questions from farmers who have soils with high pHs (above 7.0) and/or high calcium levels (above 80% ) asking if they should apply lime or gypsum to their soils. Usually this is in response to information they receive telling them that even though they have a lot of calcium in their soils, it’s not available to plants. The way to find out if your crops are getting enough calcium is to do a forage mineral test. CROPP’s Ruminant Nutritionist Dr. Silvia Abel-Caines recommends that legume-based forages should have calcium levels of at least 1%, while forages based on perennial cool season grasses should have calcium levels of at least 0.45%. Please keep in mind that the typical forage quality test uses a method based on an infrared light analysis called NIR, which stands for near infrared reflectance. This is a very good way to measure the various fiber fractions of a forage, but it’s a really unreliable way to measure mineral content (even though many NIR reports will list mineral values as part of the test). 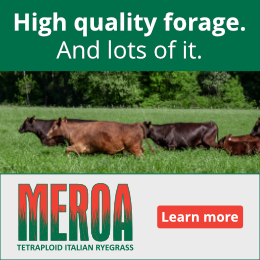 The only reliable way to measure forage mineral content is with a method known as wet chemistry, where the sample is actually dissolved so that the minerals can be measured directly. 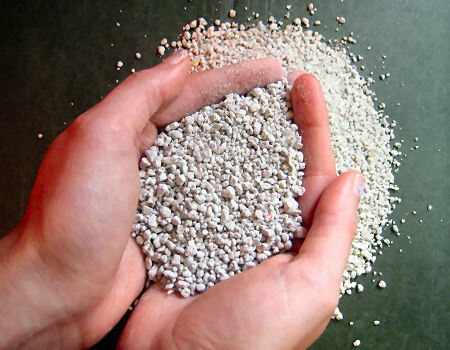 The two most common soil amendments we have available that supply calcium are lime and gypsum. The broad types of lime we use are calcitic lime (calcium carbonate, or CaCO3 ) and dolomitic lime (a combination of calcium carbonate and magnesium carbonate (MgCO3 )). Lime is an alkaline product, and it chemically de-activates acidity in the soil through the activity of the carbonate ion (CO32-). Applying lime to a soil will raise the pH. The other product we think of with respect to calcium is gypsum, a hydrated form of calcium sulfate (CaSO4 ). Gypsum is neutral in pH, and since it has no carbonate ion as part of its makeup, it will not neutralize acidity. 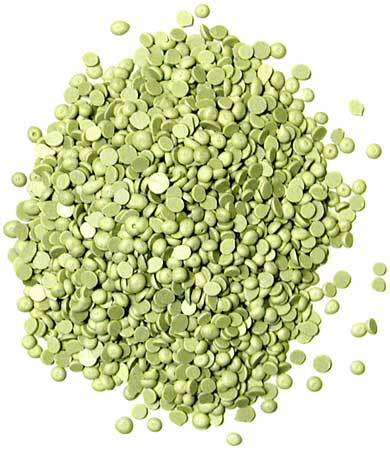 However, it is much more soluble than most lime products (about 200 times as soluble), so it does make a very good source for soluble calcium and sulfate. In other words, applying gypsum to the soil will raise the calcium and sulfur levels of the soil, but it will not raise the pH. If your soil pH is in the desired range and your forage calcium levels are where they should be, there’s nothing you need to do to adjust these in the soil. If your pH is too low, you need to add lime to bring it up where it belongs, and you may need to add a few hundred pounds per acre of gypsum (calcium sulfate) to provide both soluble calcium and sulfur (which is also often lacking in our soils). Both lime and gypsum will provide calcium, but only lime will raise the pH. 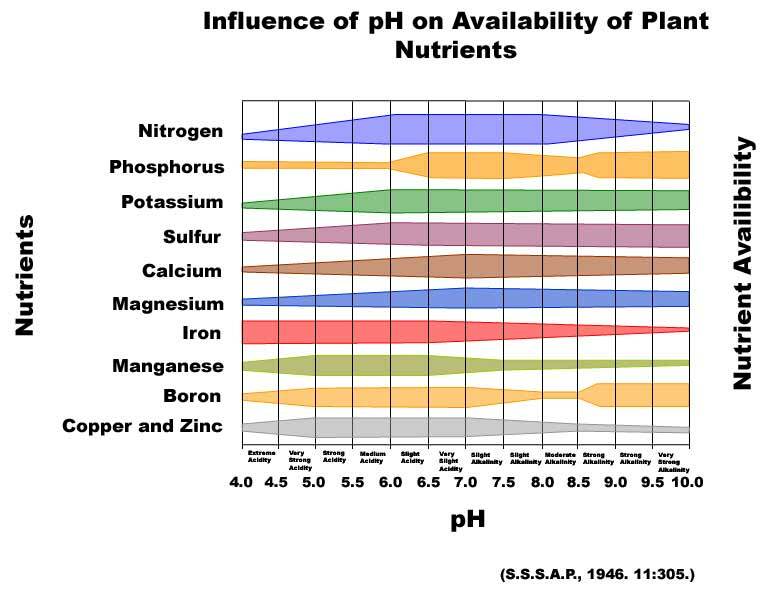 Soils with high pH values generally also have very high calcium levels. Applying lime to a soil that already has too high of a pH is never a good idea. If the pH is too high, and we apply lime, we haven’t corrected the original problem, only made it worse. If you have a soil with too high of a pH but you need to supply some sulfur, I usually recommend applying elemental sulfur. This is a material that is consumed by a particular type of bacteria in the soil, and when that happens, they convert the elemental sulfur to hydrogen sulfate, or sulfuric acid. That sounds extreme, but it’s exactly what these soils need to help bring the pH down a bit. In this process we also supply the sulfate ion, which is exactly the same form of sulfur we apply with gypsum (and the form of sulfur that plants actually take up). To sum this up, lime is only an appropriate soil amendment for soils with pHs under 7.0. You should never apply lime to soils that are alkaline (those with pHs above 7.0). If your soil has calcium base saturations of more than 80%, it is definitely not short of calcium. If you have high pH, high calcium soils and a wet chemistry forage mineral analysis shows that you still don’t have enough calcium in your forages, it’s not because you’re short of calcium in the soil. In these situations, it will not do you any good to add lime or gypsum. Instead, consider applying elemental sulfur to encourage the type of biological activity in the soil that will help the plants to reach what’s already there. Mark is the Soils Agronomist for Organic Valley and CROPP Cooperative. He has spent most of his life working in agriculture. After serving in the Marine Corps, Mark attended the University of Wisconsin-River Falls where he earned a Bachelor of Science in soil science and a minor in agronomy. He worked two years as a soil scientist with the Soil Conservation Service and then attended graduate school at UW-Madison where he completed a master’s degree in soil science. Mark worked for over 24 years an agriculture agent for UW-Extension providing education to farmers throughout Wisconsin, focusing on crop and soil management. In 2012, he accepted his current position, where he helps cooperative members and others to improve their crop and soil management skills. He and his family have operated a small grass based dairy farm in northern Wisconsin for over 20 years and have been members of Organic Valley since 2007.